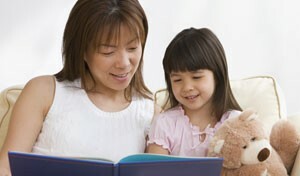 …student learning and achievement improve when parents play an active role in their children’s education. Description for Context and Background section. Description for Big Ideas and Questions section. Description for Practical Tips & Suggestions section. Description for Opportunities for Ongoing Learning section. Description for Helpful Resources & References section. Description for Statements and Quotations section. This section includes the key ideas that underpin the topic in the module. It also includes questions that support an inquiry stance about teacher-parent relationships; encourages independent and collaborative reflection; and provides a springboard for independent or collaborative professional reflection about the module’s focus. Having access to relevant, high quality information about their students’ interests, strengths and needs helps teachers provide promising, broadly-applicable strategies or home-appropriate and student-personalized strategies that support academic achievement. Creating common, shared, high expectations for student achievement and supporting these over time increases a sense of efficacy for both parents and teachers. Transparency in program, instruction, assessment and reporting with parents and guardians helps to leverage their support at home and alleviate their concerns. What is within the sphere of influence, in terms of students’ achievement, for teachers and educators? Parents/guardians? Students? Where might these spheres intersect? How do we gain authentic insights from parents and guardians about students’ interests, strengths and needs to help support them at home with student-appropriate and student-personalized strategies? How can we, as teachers and educators, help to create shared expectations for student achievement? How can we provide clear, timely information to parents and guardians about the tier of interventions and supports available at the school – and necessary at home – to support those students who experience difficulties in learning?